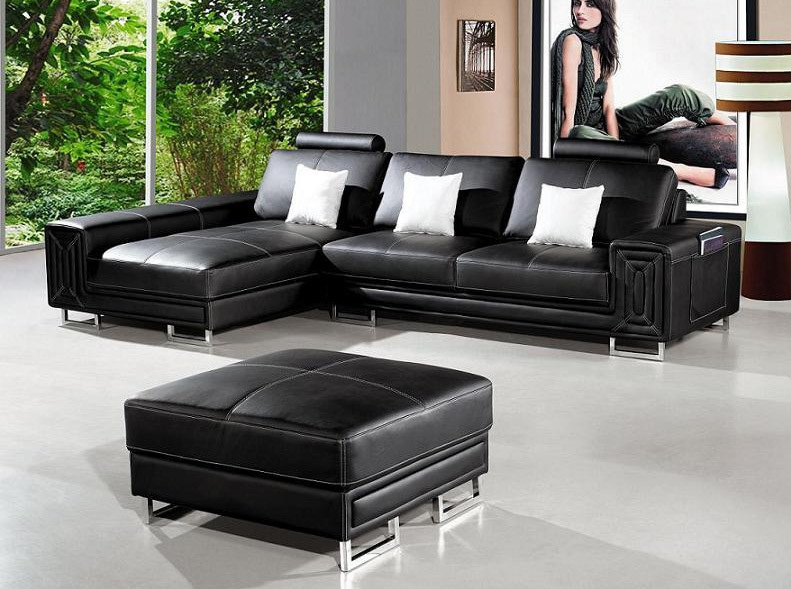 The extraordinary design of the T957 Black Leather 2 PC Modern Sectional Sofa with Ottoman by VIG Furniture is sure to be the envy of the party or the perfect piece to that romantic night in. Very versatile in its looks and makes a perfect touch to your home! It’s the perfect combination of style, comfort and function. The sofa includes shelves on the side which provides storage for books and other accessories.